Vitamin D is actually more appropriately thought of as a hormone instead of a vitamin and it plays a very important role in your body. Vitamin D deficiency is becoming increasingly common (with as percentages as high as 40-80% of people depending on ethnicity (1)) as the rise of certain disease states such as metabolic dysfunction, cancers, autoimmune disease, and more. Some of these disease states have actually been linked to Vitamin D deficiency (Hashimoto's is one that we will talk about below!). Traditionally, you are probably aware that low Vitamin D leads to conditions such as osteomalacia (or weak bones) in adults and rickets in children due to its impact on calcium. If you don't have enough Vitamin D in your system then your body won't be able to properly utilize calcium and because your bones need calcium this becomes a big issue. But Vitamin D does much more than that. Did you know that Vitamin D also plays a role in regulating your immune system, metabolic function, cardiovascular health, cancer, and more? Vitamin D is involved in so many cellular functions because of how it works in your body. It is a steroid molecule which is produced in your skin (2) (from sunlight) where it then goes to produce genetic changes in your cells. Any molecule (or hormone) which influences your genes will always cause multiple issues if that molecule or hormone ever gets too low or too high. And that's exactly what we see in Vitamin D deficiency, especially in patients with thyroid disease. The focus for today will be how Vitamin D deficiency impacts primarily your thyroid and your risk of developing certain thyroid related disease states. Just realize, though, that Vitamin D deficiency can also cause MANY other issues in your body and it is something that should be addressed (you can skip down to my recommendations if you want now). This doesn't mean that Vitamin D deficiency will always CAUSE these disease states, but we have strong evidence which indicates that Vitamin D deficiency increases your risk of developing these diseases compared to healthy people. 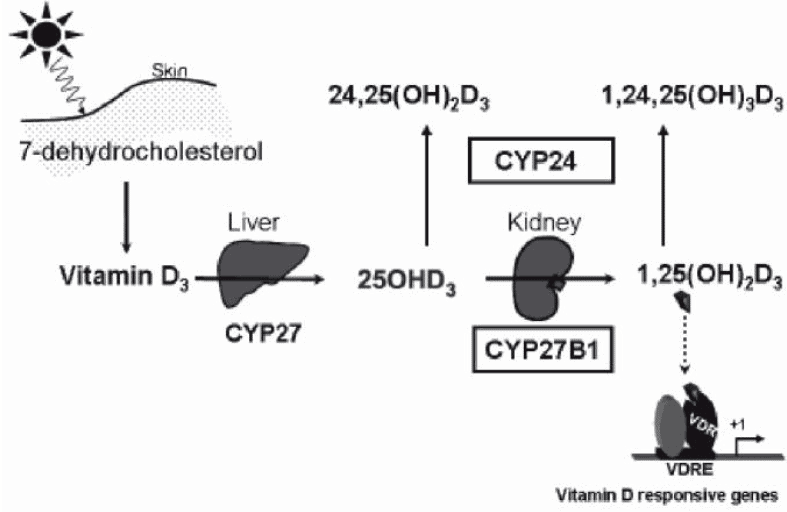 Why does Vitamin D play such an important role in autoimmunity? Studies have shown that Vitamin D helps educate your immune system by enhancing your innate immune system while inhibiting your adaptive immune system. As Vitamin D levels decline, your body may shift to a TH2 dominant state which promotes autoimmunity as your body has difficulty differentiating itself from foreign invaders. This shift leads to the development of autoimmune antibodies such as Thyroglobulin antibodies, thyroid peroxidase antibodies, and TSI. It also makes sense, and it has been shown, that the degree of Vitamin D deficiency correlates with the total amount of antibodies found in your system (6). The lower your Vitamin D the higher your antibodies (and therefore more self-destruction) tend to be in the serum/bloodstream. The good news is that Vitamin D deficiency can be easily tested for. And you can do this by checking standard bloodwork. Any physician can order the test, you just need to be sure to ask for it. The name of the lab test you want to order is called 25-Hydroxy Vitamin D.
There are many other lab tests which check for Vitamin D metabolites, but you want to avoid those and stick to this one. The reference range (meaning the range which is considered to be normal) is 30 to 100 ng/mL (7). As you can tell, this range is fairly large with the difference between normal and high being as high as 60 ng/mL. You'll probably find that many of you are within the 20 to 40 ng/mL range and, even though this is considered to be "normal" by the reference range, many integrative providers believe these numbers to be too low. Most physicians (myself included) believe that the optimal range is probably somewhere between 40 and 60ng/mL and anything below that is too low while anything higher could potentially be a problem. When you check your Vitamin D it's important to keep this range in mind as opposed to the standard reference range of 30 to 100 ng/mL provided above. It's certainly possible to be 'sub-optimal' but technically 'normal' if your Vitamin D level is in the 30's. The same is true if your Vitamin D level is in the 80's or 90's as well. Another interesting point is that the degree of Vitamin D deficiency you are experiencing tends to correlate with the severity of your thyroid disease (8). 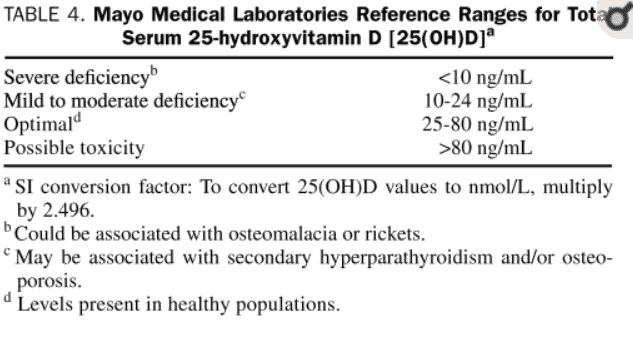 So those with incredibly low Vitamin D levels (less than 15-20 ng/mL) may have a more severe version of Hypothyroidism or Hashimoto's compared to those with higher baseline Vitamin D levels. *Note: this correlation only exists if you are not already taking Vitamin D! While testing is always encouraged if you suspect you have thyroid disease, there are also other symptoms associated with this particular deficiency. It can get a little bit confusing, though, especially when you consider that many of the symptoms of Vitamin D deficiency can overlap with other disease states such as hypothyroidism. You'll see what I mean once we go over them. Weakened immune system - Are you getting sick more frequently than normal? Fatigue or low energy (can be confused with the symptoms of hypothyroidism) - Are you still fatigued despite taking thyroid medication? Of the symptoms listed above, depression, fatigue, hair loss, and muscle pain can also be attributed to thyroid disease. Because of this, it can be difficult to discern which of your symptoms are coming from Vitamin D deficiency and which may be related to your thyroid. For this reason, and many others, I always recommend that you check your Vitamin D status if you have or suspect you have thyroid disease. From there you can then bring up your Vitamin D level and determine if any of your symptoms persist. But how should you increase your Vitamin D level? What's the best way to do it? Should you Supplement with Vitamin D3? With the increasingly high level of Vitamin D deficiency among thyroid patients, it may be tempting to run out and use a supplement. Wait just a minute before you do. Even though Vitamin D is both available and cheap doesn't necessarily mean you should use it. Because large studies have shown that raising your Vitamin D levels doesn't necessarily erase all of the negative side effects that Vitamin D deficiency carries. In a sense, it may be possible that Vitamin D deficiency is more of a sign that something is wrong in your body. Simply fixing that one problem won't necessarily fix all of your other problems. 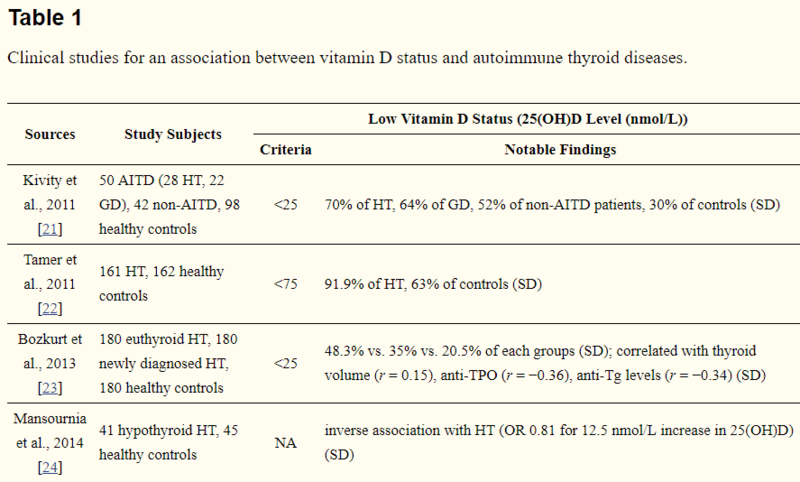 Vitamin D deficiency, while important, may predispose you to develop hypothyroidism from Hashimoto's thyroiditis. But once you have Hashimoto's, supplementing with Vitamin D3 won't necessarily cure your autoimmune disease. So, while supplementing may be important, don't think of it as a cure. In addition, I think it's better to raise your Vitamin D level naturally instead of using supplementation. It's not hard to raise your serum Vitamin D level with supplements. In fact, you can raise it to within normal range in just a few weeks. Based on my own personal experience in treating hundreds of patients with both thyroid disease and Hashimoto's, I haven't found increasing Vitamin D3 to be of much help on its own. It should always be evaluated in patients with thyroid disease (especially Hashimoto's thyroiditis), but in most cases simply taking Vitamin D3 does NOT have a huge impact on your quality of life. A better approach, in my opinion, is to raise your Vitamin D3 the all-natural way. I mean through the use of sunlight/sunshine. Now, this may not be possible depending on where you live, but if it is at all possible then this should be your number 1 priority over supplementation with D3. Naturally raising your Vitamin D through sunlight is the healthiest way to improve this hormone. Not only does getting the proper amount of sunlight help to improve your Vitamin D but it can also be incredibly helpful for regulating your circadian rhythm and improving your quality of sleep. 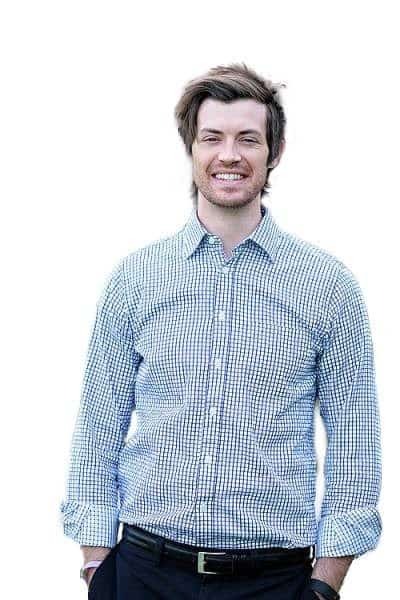 1 hour of sunlight can help your body activate up to 10,000 to 20,000 IU's of Vitamin D3! It can be difficult to raise your Vitamin D through sunlight unless you are doing it the right way. The use of sunscreen will completely negate the benefit of laying out (you don't want to wear any if you are doing this method). Sunscreen blocks UVB rays which stimulate Vitamin D.
You must do this daily for several weeks in a row to receive the benefits! If you opt to use Vitamin D3 supplements (more on that topic below) then you'll most likely need to use somewhere between 2,000 IU to 10,000 IU per day. The amount that you need will vary based on your serum level and how well you absorb your Vitamin D supplements. Be careful when using high doses, though, as you may inadvertently increase your serum D3 beyond the optimal ranges listed above. Even high normal ranges can be associated with risks related to calcium dysregulation and potentially heart disease if it persists long-term. That doesn't mean you should necessarily be afraid of the high doses, however, because the body can create and handle tens of thousands of IU's per day, especially in direct sunlight in the summer months. Just a quick note worth mentioning is the difference between Vitamin D2 and Vitamin D3. If you are supplementing (which may be a good idea for some people depending on where they live) you want to ensure that you are using the Vitamin D3 formulation. You can identify what type of Vitamin D you are taking by looking at the ingredient list. 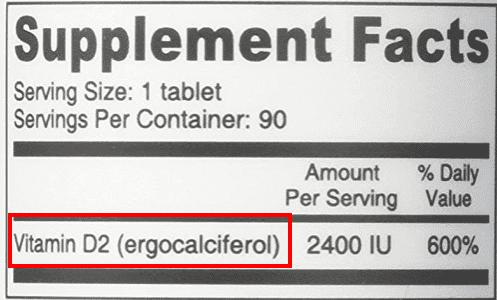 The image above is an example of a supplement which contains Vitamin D as Vitamin D3 (or cholecalciferol) and this is the ideal form you want to take. Most experts agree (as do I) that using D3 over D2 is preferable. Because Vitamin D3 is biologically more active and does not require any steps for the body to use it. Vitamin D2 also carries some potentially other issues including the fact that humans do not make Vitamin D2 on our own, Vitamin D3 is the same price as D2, and D3 may be potentially less toxic if consumed in large doses. For these reasons, it's often preferred to use Vitamin D3 over D2. Sometimes physicians, who aren't knowledgeable on the subject, may recommend the use of D2 over D3. This is particularly true for those receiving Vitamin D injections for very low levels. If you're in this position, and you are noticing that your serum levels are not improving, you may want to switch to the D3 version. There may be some instances where using D2 is a good alternative option to D3, however. Such cases including intolerance to Vitamin D3 (rare, but it does happen) or the fact that you experience negative symptoms when supplementing with D3 may mean that D2 could be your only option. It's important to realize, though, that if you take D2 you must go outside in the sun in order for your body to transform the D2 into D3 (otherwise it will have no benefit to your body!). If you opt to use Vitamin D supplements (meaning you are going to take supplements by mouth) then it's also important that we discuss Vitamin D absorption. In order for your body to obtain Vitamin D you must take it orally (by mouth) to get it into your gastrointestinal tract. From there it must be absorbed by your intestinal tract and then transferred into your body. You may very well be taking enough Vitamin D by mouth in supplement form but it may not be actually getting into your system. You can identify if this is happening by evaluating your serum vitamin D levels both before and after absorption. If you are taking 5,000 to 10,000 IU's of Vitamin D but your serum level is not increasing then you may not be absorbing it into your system. Vitamin D is considered a fat-soluble vitamin (or hormone) which means that it doesn't mix well with water. Fat-soluble hormones and Vitamins tend to be more difficult to absorb into your intestinal tract because they repel with water (much like water mixed with oil). One way to try and improve how well you are absorbing Vitamin D is to take your supplement with a meal which contains moderate to high amounts of fat. Some studies have shown that taking consuming fat with Vitamin D does improve absorption (9). Alternatively, you can take your Vitamin D capsule/pill with some MCT oil or coconut oil. By taking it with oil you can increase the rate at which it is absorbed by your intestinal tract and ensure that it makes it into your body. We've already established that the majority of humans on the earth are deficient in Vitamin D but it doesn't stop there. Many of the same people who are deficient in Vitamin D are also deficient in Magnesium. And this is important because Magnesium is essential and necessary for the metabolism of Vitamin D in your body. If you are taking Vitamin D and not supplementing with magnesium, then you might be doing more harm than good. In fact, taking high doses of Vitamin D (from supplements) can actually induce depletion of magnesium and stimulate magnesium deficiency symptoms (10)! This issue is complicated further by the fact that it is quite difficult to adequately test for magnesium deficiency. Testing your magnesium is the serum doesn't actually give you a clear picture as to what is happening inside your cells. So, your serum magnesium level can be completely normal (or high) but your cells can still be starving for magnesium. Because both magnesium and Vitamin D deficiency are so prevalent, it's a good idea to supplement with both if you want to supplement with one or the other. Using magnesium in the glycinate or threonate form will usually result in the best absorption for your body and optimize your serum magnesium levels. Will Using D3 Help with Weight Loss? In the past, there have been some studies which have shown that using Vitamin D supplements in conjunction with diet and exercise may have lead to more weight loss (11) than not using Vitamin D.
While this may be true for some people, it's certainly not my experience that this treatment works for the majority of people. I would never consider Vitamin D (even D3) as a 'weight loss supplement' nor would I ever suggest you think about it in that way. Instead, look at Vitamin D deficiency as one of potentially many issues that your body is facing. By fixing your problems you will be optimizing your metabolism in the process. All of the little changes that you make, including addressing your diet, exercising, managing your stress, etc. will all impact your weight. But you can't say that it's the Vitamin D by itself. It is, however, a great idea to check your Vitamin D level if you are suffering from obesity or thyroid disease! And, if you find that you are deficient, it would also be a good idea to raise your Vitamin D level as you address other issues you may find as well. You can raise your Vitamin D level either by using direct sunlight or you can do it through supplementation. Vitamin D plays a very important role in regulating thyroid function, immune function, and other metabolic processes in your body. In addition, many people (especially those with thyroid problems) will probably find themselves deficient if they check their blood tests. If you fit into this group then you definitely want to address your deficiency, but you have two major ways of going about doing so. The first is to use Vitamin D3 supplements which are available over the counter. The other is to use natural sunlight (by following the guidelines above) to naturally improve your Vitamin D level and to help other systems in your body (my preferred method). Regardless of which route you choose, just make sure you stick to it and remain consistent! It can take weeks to months in order for you to normalize your Vitamin D levels. Also, be sure to avoid using too much if you opt for supplementation. Excessive dosing may increase your risk of developing early heart disease. Do you also have thyroid problems such as Hashimoto's thyroiditis? Do you feel that there is a connection between the two? Have you been able to improve your serum levels?